As one of the UK’s leading providers of washroom services and solutions, there are few companies that can match our experience or our expertise. With a track-record of excellence spanning more than 30 years, we know precisely what hygiene challenges face organisations like yours, and how to address them in an optimally cost-effective and eco-friendly way. When you work with Hygieneco, you can be completely sure you’re working with professionals who understand your priorities, and who know how to deliver a washroom solution that is not merely fit for purpose, but which reflects your organisation’s concern for the health and safety of your visitors and your employees. Hygieneco is a company which is dedicated to achieving 100% customer satisfaction, through a blend of superior products and technology, outstanding service levels and total professionalism. When you work with us you can be totally confident that no other company offers higher levels of expertise and experience, and that the washroom solution we deliver will be fully tailored to your needs. Our track record is so strong in this respect that we can guarantee that you will be completely happy with our services, whatever solution you purchase from us. We constantly monitor our customer service levels, which are among the highest in the industry. Our vehicle tracking and route planning systems are designed to ensure speed and efficiency of service. We take great care to ensure that every washroom solution we provide meets all relevant Health and Safety and environmental legislation, while all front line staff are qualified in the relevant area to ensure that all Best practice guidelines are met. As part of our commitment to quality in everything we do, we use only equipment from leading washroom equipment manufacturers. Every product is designed to meet all relevant environmental and safety legislation, and offers the highest levels of robustness and efficiency. Our commitment to a service-driven culture means that we always respond to queries and other service-related requests quickly, efficiently and professionally. At Hygieneco, we are very aware of our responsibility towards the environment. That’s why we take every measure we possibly can to adopt fully sustainable processes and practices. 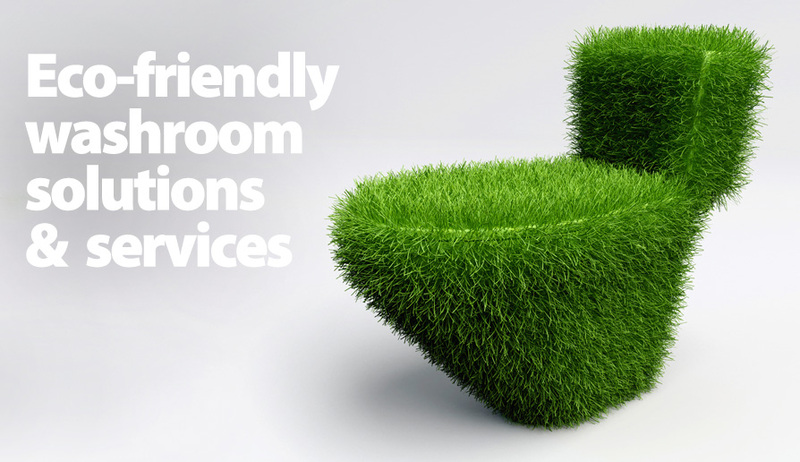 Ensuring that our washroom solutions comply with current environmental legislation is just the starting point – we do much more. We also do all we can, for example, to control our level of harmful emissions, and minimise waste from our own operations by re-using or recycling whenever possible. We also do our best to ensure a green supply chain by purchasing only from suppliers who have an equally responsible approach to sustainability.